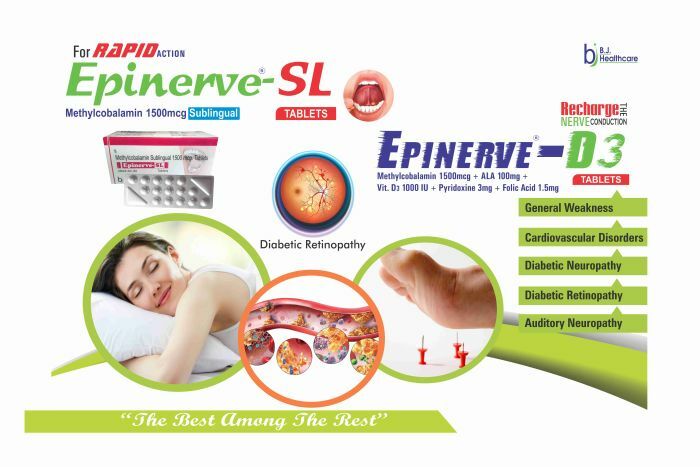 B.J.Healthcare is the one stop shop in market for availing Nerve Regeneration Tablets. 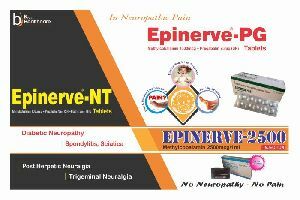 Clients can avail different Nerve Regeneration Tablets from us. 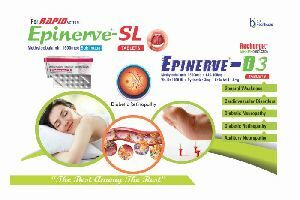 Nerve Regeneration Tablets such as Epinerve Forte Tablets and Epinerve-G Tablets are available with us. We are capable of taking up bulk order of Nerve Regeneration Tablets. We are a well-reckoned Manufacturer, Exporter and Supplier engaged in making available accurately formulated Epinerve Forte Tablets. 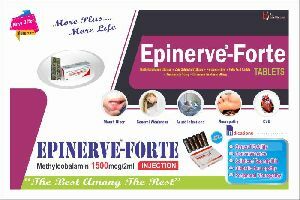 Epinerve Forte Tablets, available with us, are known for showing excellent results by providing relief in the problem. 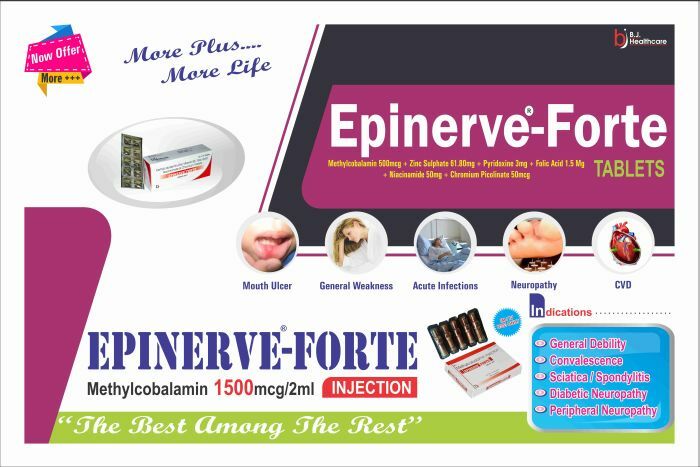 Avail Epinerve Forte Tablets from us at the most competitive prices.